Full Moon Bites: Author of the Week, Jeaniene Frost! Author of the Week, Jeaniene Frost! Jeaniene Frost is the New York Times and USA Today bestselling author of..." Read More. 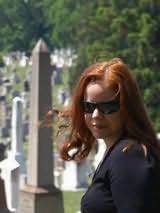 #1: Halfway to the Grave..."
This Side of the Grave (Night Huntress #5)..."
Click here to read whole page on Jeaniene Frost.